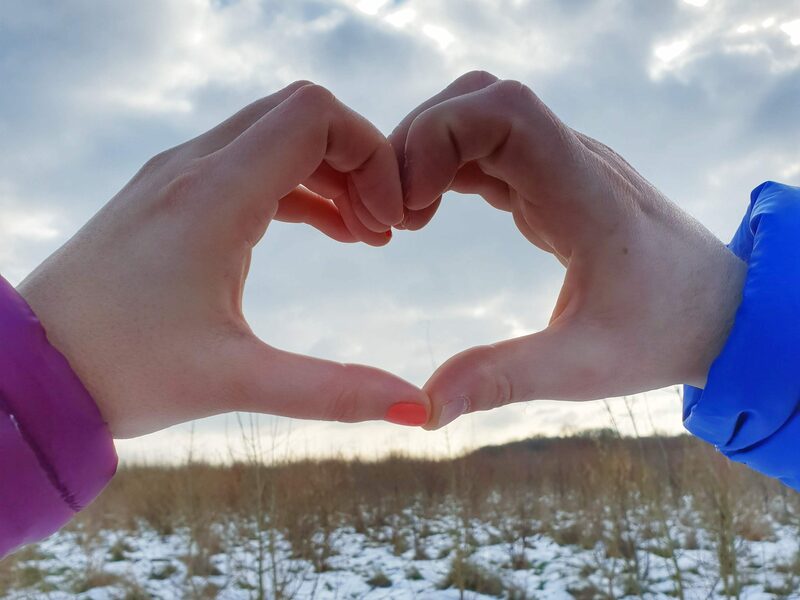 We found Deerland Safari on the Quality Unearthed website and fell in love with the description and imagery – upon arriving last week it quickly became clear that we would fall in love with the place in real life too! 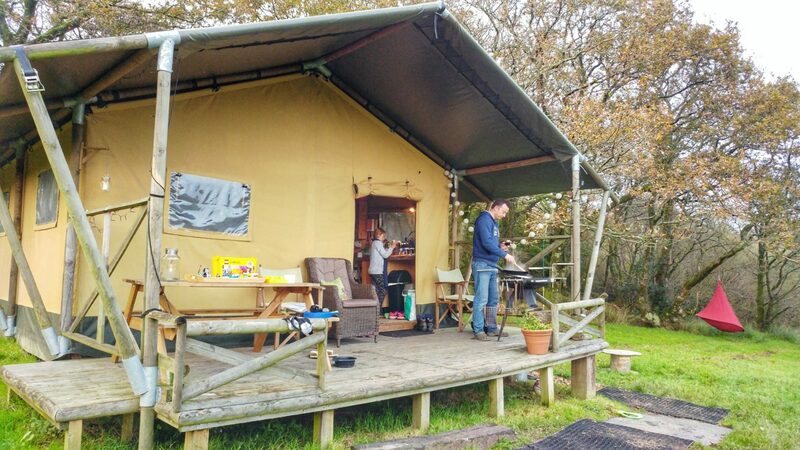 A huge safari tent situated on a 75 acre farm in Dorset, the site is owned by the lovely Lesley and Julian (who’s tractor was needed on more than one occasion), and surrounded by fields filled with their horses. The woods are home to Fallow and Roe deer, which we were lucky enough to see running across the grass right in front of the tent on a few occasions, as well as hearing them rutting all through the night! Deerland Safari is described as being ‘elegantly poised at the top of a gently sloping meadow’ which is definitely true, but it’s also at the bottom of a rather steep hill and although we drove down there to unload, we had to get a tractor tow from Julian back up to the top again due to the mud and slippery wet grass! The tent itself was amazing – it was huge and had two separate bedrooms, one with bunkbeds (which E loved) and one with a double bed complete with bedside tables. They were separated from the main living and dining area, and kitchen, by a wooden partition and curtains which was very useful in the evenings when E had gone to bed. We had a portable gas heater to keep us warm in the evenings, as well as candles, gas lamps and torches to light our way. With the toilet located in a separate shed next to the tent, it was quite an adventure just going to the bathroom once it got dark! 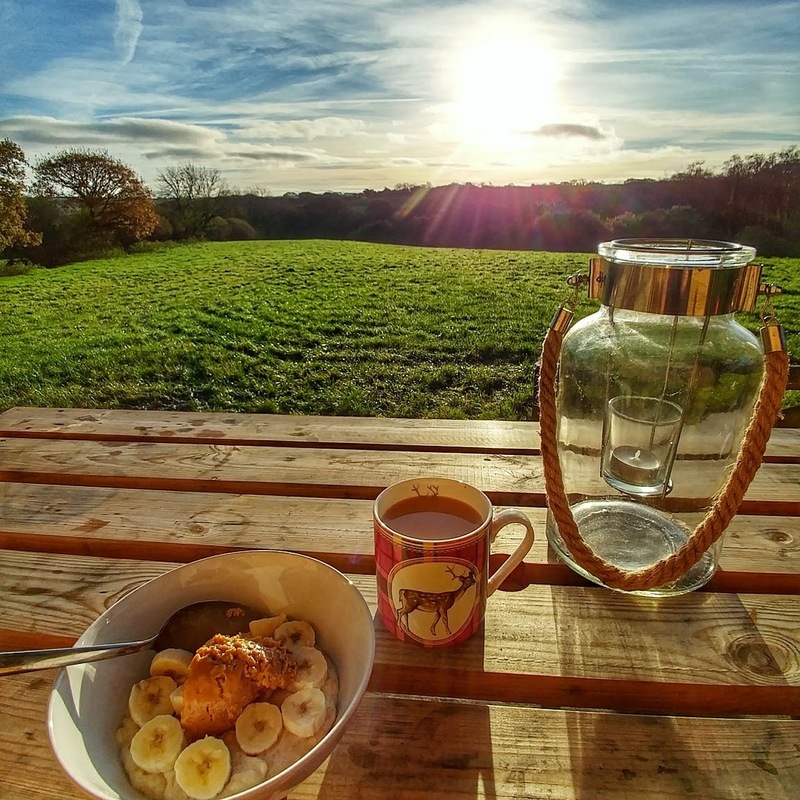 Outside we spent hours sitting on the decked veranda which is undercover, but offers amazing views across the fields and woods – it was a brilliant way to start the day, eating bowls of porridge and drinking mugs of tea just watching the mists swirling and the dew on the grass. In the evenings we lit the BBQ, made smores and watched the stars overhead – with so little light pollution around they sparkled so brightly! Blake and E loved having so much space to just run around, explore and play and I loved the sense of escape. 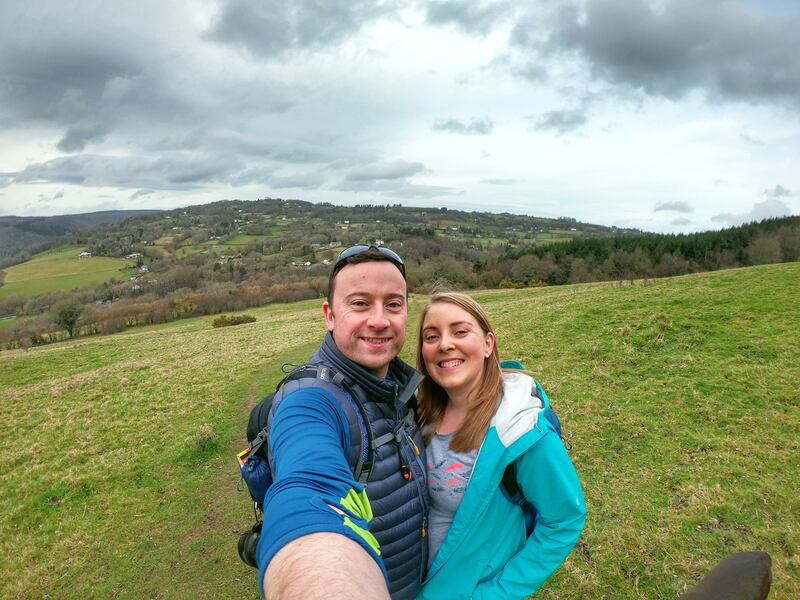 It was great to get away from the busyness of everyday life for a few days and ‘get back to nature’ – I even put my phone on airplane mode so it wouldn’t disturb me with notifications and just used it to take photos #digitaldetox. 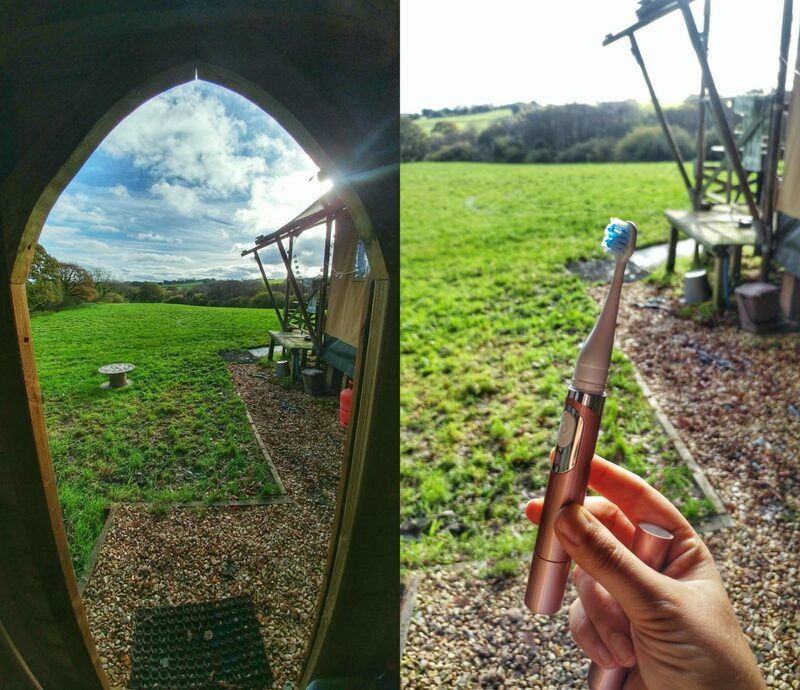 It sounds ridiculous, but even something as normal as brushing my teeth was refreshing, being able to stand and use my new Sonic Chic Deluxe (USB rechargeable) in the middle of the field if I wanted to! 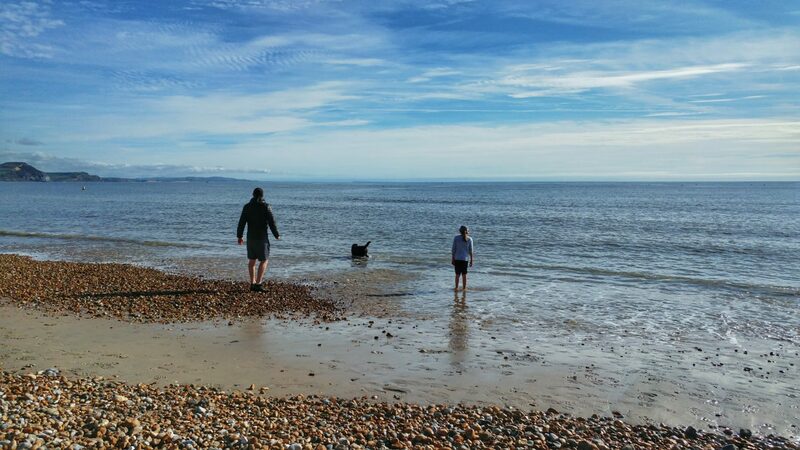 We squeezed in a few day trips when we weren’t chilling at the tent, venturing south to explore the World Heritage Site that is the Jurassic Coast, which stretches for 96 miles and includes most of the Dorset coastline. 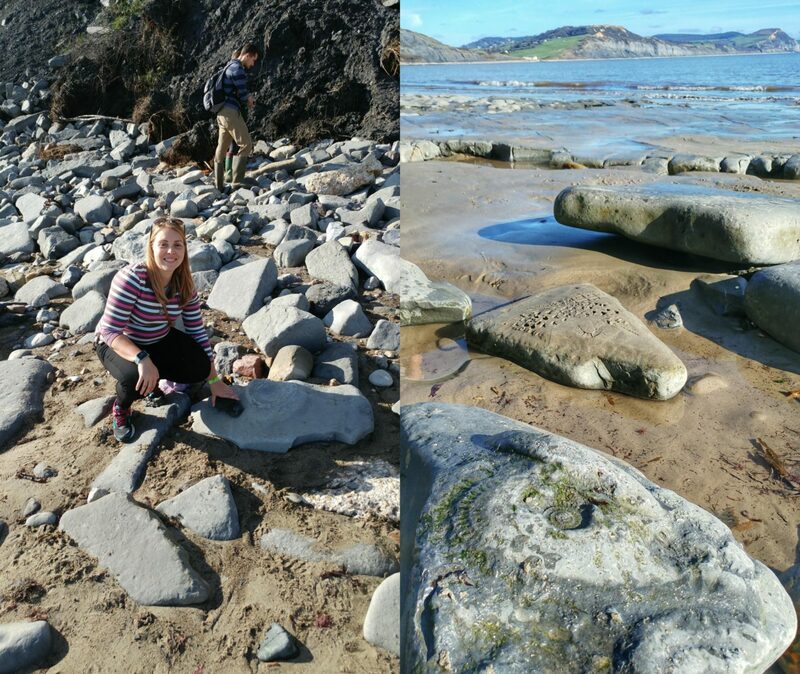 This included visiting the beaches of Lyme Regis where we went fossil hunting and rock collecting – I managed to find quite a few larger ones on the beach to show E, and some smaller specimens which went in my pockets! 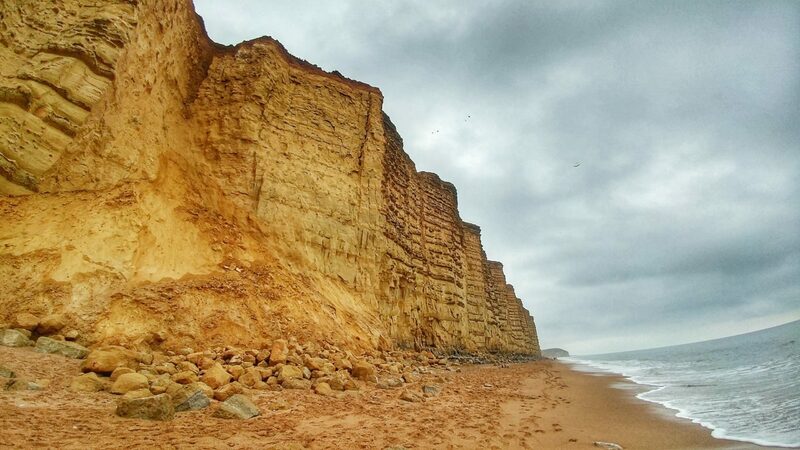 We also went to West Bay which is a much smaller coastal town south of Bridport, where the waves were rough and the cliffs slowly crumbling into the sea. The tourist town of Weymouth was the final location ticked off during our travels, which included a trip to Nothe Fort to admire the cannons, ice cream on the beach and losing some change in the 2p machines in the arcades – all absolutely essential things to do when going to the British seaside! It’s hard not to fill this post up with lots of photos and just gushing about what an amazing time we had, but upon coming home feeling so relaxed and happy it made me realise that it’s important for us all to take time out once in a while – even though I love running, racing, and blogging, it can be quite tiring and high pressure, constantly aiming for goals and comparing yourself to other people. Getting away from that all for a bit and enjoying spending time with my family, eating ice cream and looking at rocks was a wonderful boost! 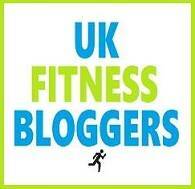 I came back feeling energised and excited to crack on with the next challenge. As for Deerland Safari, it is an amazing hidden gem and if you get the opportunity to book next year I can only say ‘do it’! I’ll be browsing the Quality Unearthed website in the meantime, planning our next glamping trip. How do you get away from it all? 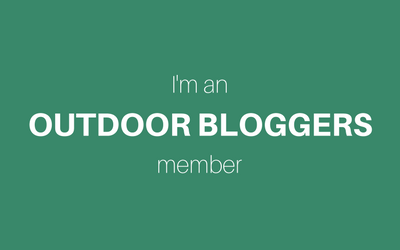 Have you ever been glamping? It sounds like a wonderful break- I think Dorset is such a lovely place to visit.